With changes to the North American truck equipment market taking place, Muncie Power Products found itself at a crossroads – create a power take-off unlike any before with a lifespan to last that of a truck, or remain status quo and watch market share dwindle. Rising to the challenge, the company’s engineering team developed a design for not one, but an entire class of power take-offs known as Titan™. The first of these new PTOs – a medium-duty, 10-bolt clutch shift power take-off – the Titan MC1 Series is set to be released this year. “We set a PTO life goal that far exceeds anything we’ve done before,” said engineering team member Brandon Hobbs, project engineer, regarding the Titan MC1. According to fellow team member Senior Product Designer Dave Gormley, the team produced a scope and it was this document that served as its guide throughout the PTO’s design and development process – following good design, using proven methodology and completing product testing to ensure the best possible product for the market. Seeing that the Titan MC1 is just the first in the Titan Class PTOs, other medium-duty models – the Titan MC 6/8, Titan MM 6/8 and Titan MD1 – and more will follow, as Hobbs noted. Applications for the Titan MC1 are numerous including dump, fire and rescue, utility, tow, snow and ice and bulk. “As Brandon said, we’ve done a lot of stuff that I think and feel once the product gets out there, there will be new applications and uses,” said Gormley. Compatible with the same transmissions as its predecessor – the CS24/25 – the Titan MC1 also features a redesigned housing, allowing for maximum clearance for installation on tight-fitting envelopes including Hino trucks like its other predecessor – the HS24. The Titan MC1 has been designed to fit Allison 3000/4000 transmissions; however, according to Hobbs – there will be other models that will address other transmissions. Beyond achieving an increased lifespan and an uncompromised 300 lbs.ft. continuous-duty rating for the 10-ratio as set out in the scope, the Titan MC1 features many other advantages and product improvements. 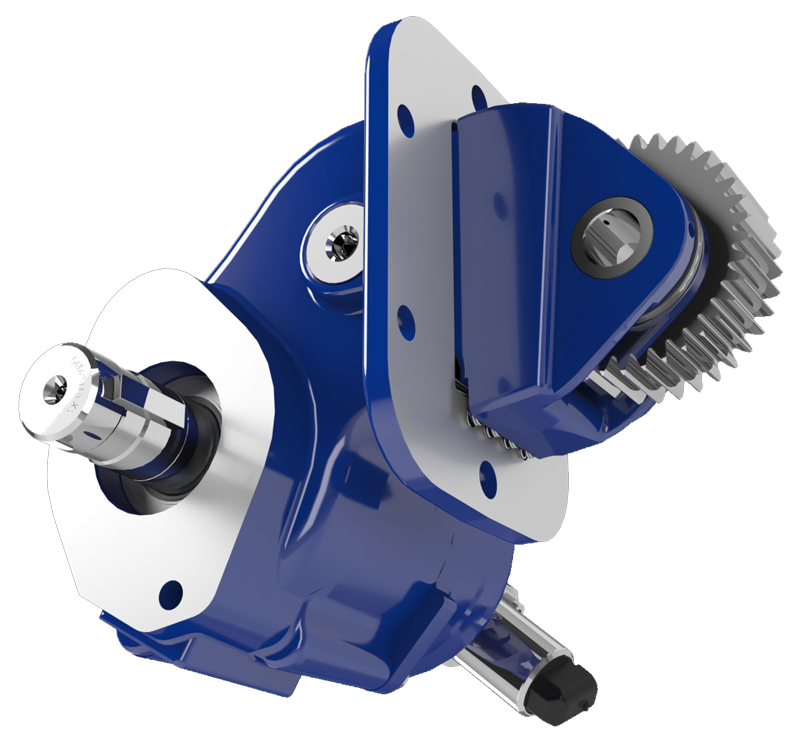 The Titan MC1’s advantages result from product improvements including a robust clutch pack design; maximized gear design; an increased clearance for mounting bolts; improved tapered roller bearings; an updated shift cover allowing 360-degree rotation and reduced leak paths between the output mounting flange and cover. In addition, the bearings of the Titan MC1 are pressure lubricated internally – not with external hose and fittings. To incorporate these features and more, the team had to get creative to overcome space constraints. “In order to increase durability, better manufacturing techniques had to be utilized while still fitting in the same envelope as the legacy unit,” explained Hobbs. The Titan MC1, as a result, will usher in a new era of product for Muncie Power Products quite unlike any preceding. Additionally, with the Titan MC1 the number of parts will be reduced – which for customers means quick delivery due to a set of standard parts. “It’s like the iPhone®, you didn’t know you needed it until it was created,” said Hobbs. Dave Gormley has been with Muncie Power Products for four years and holds an associate degree from the University of Arkansas - Fort Smith. He has received many certifications and distinctions including that of Lean Six Sigma Green Belt from the Brunswick Corporation. Dave is married to his wife, Vicki, and they have two children and four grandchildren. With a bachelor’s in industrial engineering from Kansas State University and an MBA in finance and information systems from the University of Missouri – Kansas City, Brandon Hobbs has been a member of the Muncie Power team for five years. He is married to his wife, Jill, and they have three children. In his free time, Brandon enjoys participating in family activities.